Hibana is an interesting mix between Ash and Thermite. She’s fast, has great guns, can breach reinforced walls from a range, and has a very versatile loadout. You can play her as an aggressive fragger or a cautious support, and she can be effective both up close and at a distance. Her gadget isn’t particularly hard to master, but if you use it in creative ways you can clear an objective room without even having to enter it. Remember that Hibana is just as important as Thermite! Helping your teammates clear the objective is the most important thing you can do with your ability. Dying early is a detriment to your team. Type-89 – A great assault rifle. It has good damage and a high fire-rate, but its small magazine means you’ll be reloading often. Its recoil is good, even while using an ACOG. Supernova – The Supernova is my least favorite of the pump action shotguns. Weak and not very good for breaking walls, at least in my experience. Bearing-9 – Similar to the SMG-11, it’s a small SMG sidearm that has a very high fire-rate. It can effectively act as a second primary, however its magazine will run dry very quickly. P229 – It’s a very good pistol, on par with the P226 that the SAS have access to – but it really doesn’t stand up to the power and versatility of its alternative. Note: The silencer for the P229 is bugged, and it reduces damage by a LOT more than it should – avoid using the silencer on this gun. 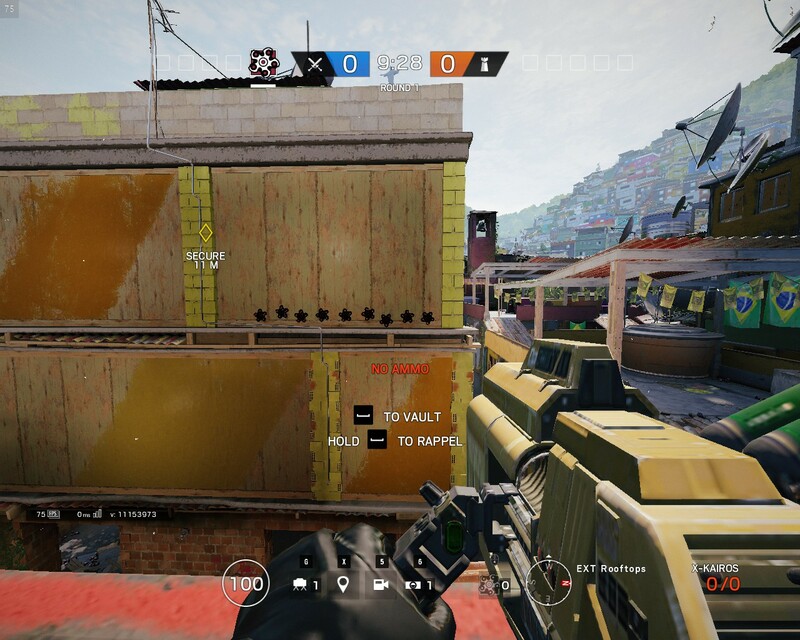 Both gadgets are good – the flashbangs are helpful if you intend to play Hibana aggressively, but the claymore is good for a slower, more passive playstyle. Due to the high fire-rate of the Type-89 and Bearing-9, you may find yourself running out of ammo quickly. Try not to empty a magazine whenever you fire with the Type-89, and instead burst 4-5 rounds at a time. My ideal loadout is the Type-89 (Vertical grip, flash hider and ACOG) and Bearing-9 (Compensator and Holographic) with a claymore as my gadget – I use it to cut off flank routes behind myself while I put pressure on the enemy. Hatches are important to take control of and break open – if there’s a reinforced hatch that your team needs open, it’s your job to open it. 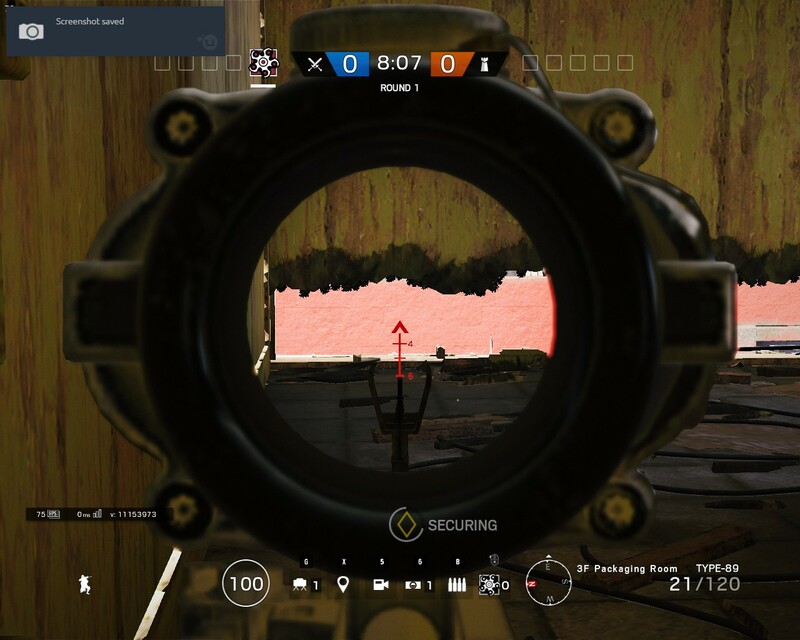 Sight lines into the objective room can be made, allowing attackers to pick off defenders without even entering. Consider placing it on areas that you can also monitor entrances into the sight, to prevent anyone from rotating back in. You can make murder holes simply to force the enemy to retreat from a certain position – take this as example, and note how I purposely only used the top row of the pellets. When I detonate, I can shoot at the defender’s legs and they can’t even fire back unless prone. You only need one pellet to detonate in order to break a hatch, and each pellet only does about 2 damage when it explodes. You can drop in from a reinforced hatch by shooting your X-K at it and break all but one pellet before detonating. Remember that they make noise while detonating, so a simultaneous distraction – perhaps another X-K charge somewhere else – could help maintain the element of surprise. If you have defenders trapped in the objective room but don’t know where they are, shoot an X-K charge at a random wall on the site and look for bullet tracers that’ll show you where the defenders are hiding. Even if they don’t reveal their position to you by shooting the pellets, it’s another murder hole that they’ll have to be wary of. If you’re sure the other side of a reinforced wall is safe, consider putting a charge as close to the floor as possible so that you can crawl through – a vaultable hole usually takes two charges, but a crawl hole takes one. Never make a 3-charge high hole – it would mean you’ve used all of your charges to make the equivalent of a single Thermite hole. You can use 2 charges stacked on top of eachother in order to create a vaultable hole. Hibana is a really good counter to Mira. 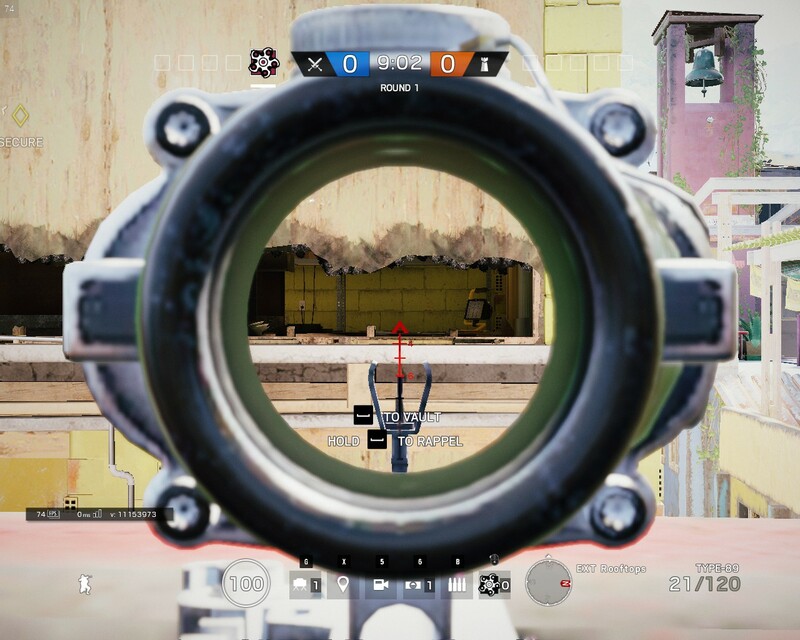 Instead of shooting the X-K so that the pellets are right on the mirror, shoot it so the pellets are just beneath it – this will create a vaultable hole in one shot. An ADS counts each pellet as a grenade – since there are 6 pellets per X-K charge, you could theoretically deplete the charges of all 3 of Jager’s ADSes, if they were close enough together. The Bearing-9 can be used to very quickly break open barricades due to its high rate of fire. Once your X-K pellets have been activated, they cannot be destroyed by Bandit’s batteries – the only way to stop them at that point is to shoot them, melee them, or use an explosive.